President Donald Trump reportedly lashed out in a Thursday meeting with lawmakers about immigration reform, demanding to know why the US should accept citizens from what he called “shithole” countries. 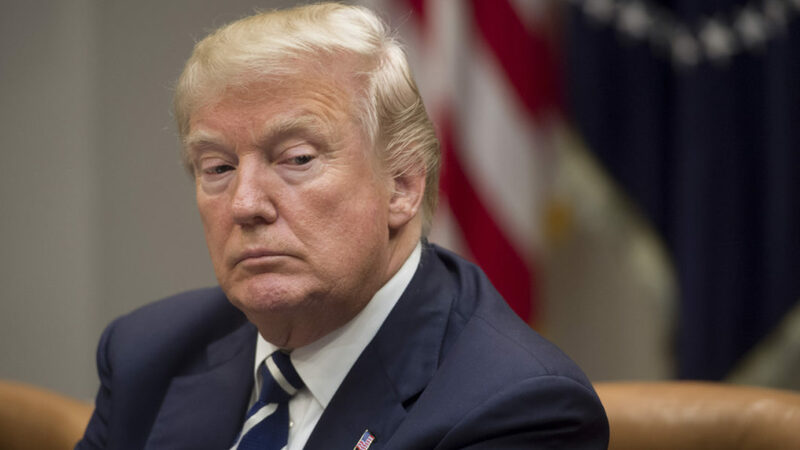 The comments, first reported by The Washington Post, sparked anger among Democrats and Republicans and revived questions about Trump’s tendency to make racially charged remarks. Trump sat down with senators and congressmen at the White House to discuss a proposed bipartisan deal that would limit immigrants from bringing family members into the country, and restrict the green card visa lottery in exchange for shielding hundreds of thousands of young immigrants from deportation. “Why are we having all these people from shithole countries come here?” Trump said, according to people briefed on the meeting who spoke with The Washington Post. The president was referring to African countries and Haiti, both newspapers said, with the Post including El Salvador on its list. Trump then suggested the United States should welcome immigrants from places like Norway, whose prime minister met with Trump on Wednesday. Graham and Durbin are leading efforts to codify protections for so-called “dreamers”, immigrants who came to the United States illegally as children. In exchange, the deal would end extended family “chain migration”. The president and lawmakers are in the midst of intense negotiations about how to shield nearly 800,000 “dreamers” from deportation. The White House did not deny the account of Trump’s use of language, but instead suggested the president was “fighting for permanent solutions” that strengthen the nation, in part through the use of a merit-based immigration system. “Certain Washington politicians choose to fight for foreign countries, but President Trump will always fight for the American people,” White House spokesman Raj Shah said in a statement. The New York Times recently reported that Trump had said in a separate June meeting on immigration that Haitians “all have AIDS”, citing a person who attended the meeting. The White House denied those comments. Democrats seized on Trump’s slur against Haitians and Africans to suggest he is anti-immigrant or worse. “We always knew that President Trump doesn’t like people from certain countries or people (of) certain colors,” congressman Luis Gutierrez said. Mia Love, a congresswoman from Utah who is of Haitian descent, called Trump’s reported comments “unkind” and “divisive”, and demanded an apology. “This behaviour is unacceptable from the leader of our nation,” Love said in a statement. South Carolina’s Tim Scott, the only black Republican senator, said that if Trump really did use those words it would be “disappointing”. Former Florida governor Jeb Bush, one of the failed Republican primary contenders against Trump in 2016, blasted the president and said his comments smacked of racism. “For every one step forward @POTUS takes when it comes to judgement and good, coherent policy decisions, he Inexplicably and without fail takes ten steps back. I hope today’s comments were just a crass and flippant mistake, and do not reflect the hateful racism they imply,” Bush wrote.